Founded in 1994, Industramach Inc. (IMACH) has worked out its way to be known as a group of technical people offering sound environmental solutions by supplying environmental control and monitoring devices on turn-key basis. Through the years, the company has earned the confidence of well-known equipment manufacturers and suppliers and accumulated a number of delighted clients. IMACH was one of the contractors / suppliers who supplied various stack and ambient quality air monitoring equipment to DENR/EMB and to different industries from 1994 to 2015. In 2012, IMACH has separated from its mother company, Technical Experts on Environmental Management, Inc. (TEEM) and carried with it the Environmental Monitoring Services that was formerly rendered by TEEM. All the environmental monitoring staff and equipment from TEEM including the Managing Director/Stockholder of the said service line have been transferred to IMACH. As environmental monitoring service provider, TEEM/IMACH was one of the pioneers in the said business line which we started in 1995. We have been a consultant to DENR/EMB from 2014 to 2017 (in partnership with TRC Environmental Corporation – USA) under the ADB-Funded Project: Metro Manila Air Quality Improvement Program. Under this project, TEEM Environmental Monitoring Service (now under IMACH) conducted Emission Testing of more than 960 stacks to gather data for EMB. Guidelines for Accreditation of Third Party Stack Testers and Auditing Procedures of Continuous Emission Monitoring System were also established within the project scope of TRC/TEEM. From being involved in different environmental business areas in the past years, IMACH has trimmed down its operation to the following lines in order to provide a focused service to our clientele. Founded in 1994, Industramach Inc. (IMACH) has worked out its way to be known as a group of technical people offering sound environmental solutions by supplying environmental control and monitoring devices on turn-key basis. Industramach is also one of the pioneer companies that offered ambient air sampling services way back in year 1995. 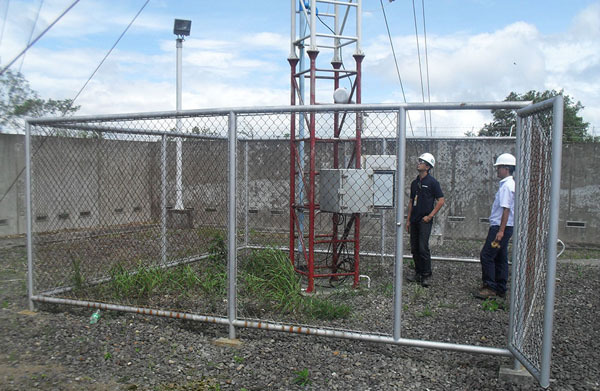 As a local partner to a US-company, IMACH was selected by DENR/Environmental Management Bureau to rehabilitate, operate and maintain the Metro Manila Air Quality Monitoring Network consisting of 10 Ambient Air Monitoring Stations in year 2004 to 2006. In compliance with the Republic Act No. 8729 or the Philippine Clean Air Act, the whole network aimed to provide air quality assured data for different criteria pollutants such as SO2, NO2, CO, THC, O3, TSP, Pb, PM2.5 and PM10. Likewise, the network was capable of monitoring non-criteria pollutants, i.e. Benzene, Toluene and Xylene. Currently, IMACH ambient air sampling services include 1-hour or 24-hour sampling of criteria pollutants like total suspended particulate matter (TSP), SO2, NO2, PM10, PM2.5, various metals in particulate. Imach likewise conducts noise measurements for regular monitoring or baseline data gathering. As local partner to a US Company – TRC Environmental Corporation, IMACH (under TEEM Inc.) was a consultant to DENR/EMB to conduct hands-on training in conducting Relative Accuracy Test Audit (RATA) of CEMS to Air Quality Monitoring Team of DENR/EMB Central Office. The program also included conducting seminars to industry on operation and maintenance of CEMS and drafting a implementation guidelines for regulating and qualifying industry CEMS and COMS. Electrostatic Precipitator (EP) is a dust control device that collects more than 99% of particulate matter at large coal fired power plants and cement plants resulting to a hardly visible smoke emission. EP should periodically be audited for its performance by determining the dust concentration, flowrate and other operating parameters at the inlet and outlet ducts, to keep it operating at highest efficiency and with balanced flow distribution on each duct. Imach has been conducting electrostatic performance testing on annual basis on a number of major coal fired power plants using an established USEPA and ASTM Procedures. Imach also conducts testing on duct network to be used as design basis in the installation or improvement of dust control systems. 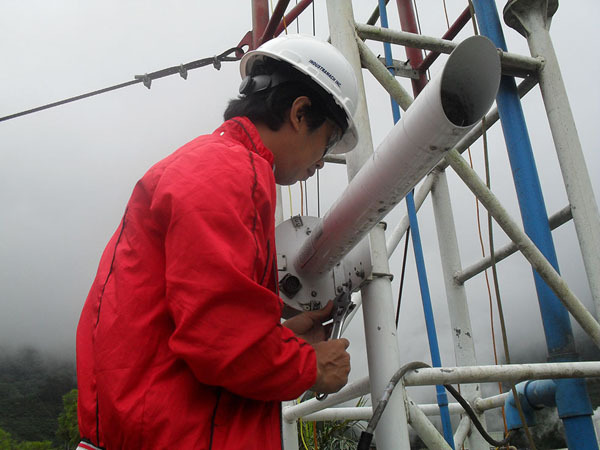 Imach gained a solid experience in the installation and maintenance of ten (10) air quality and meteorological monitoring stations of DENR/EMB in year 2004 to 2006. Imach thus retained its services for the installation, calibration and maintenance of meteorological network with telemetry or remote data retrieval system. Our regular clients for this service line are various geothermal power plants of Energy Development Corporation.